The following informational rack cards are available for free. Call or email us to order them for your organization. Explain how car seats and seat belts save lives and make people safer. Discuss why all passengers should ride buckled up and kids should sit in a back seat. Talk about the basic types of car seats. Tell others about the importance of buckling up. 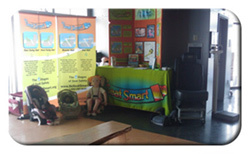 We can provide an educational display for your event. We’d be pleased to come out and talk car seats and vehicle safety! 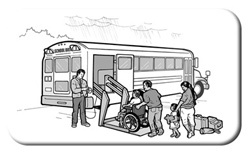 BeSeatSmart provides a variety of education materials about child passenger safety. Email Us or Call CPS Hotline at 1-888-868-7328. 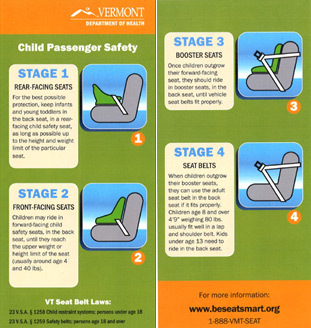 The Vermont Safety Seat Voucher Program provides education and instruction on child safety seat use and installation at fitting stations and hospitals statewide. The program also allows for distribution of FREE car seats and booster seats to income-eligible families who meet program requirements. Income eligibility is determined by receipt of state or federal funds. Would you like to have a tabled presentation at a safety fair? We’d be pleased to come on out and talk car seats and vehicle safety! Call us at 1-(888) VMT-SEAT to schedule. 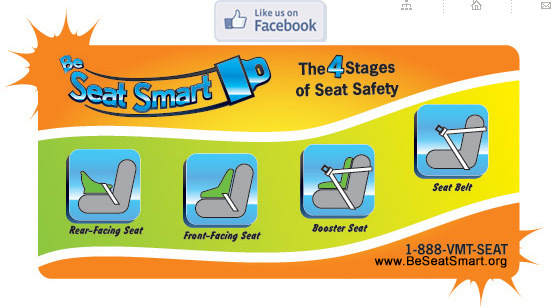 The BeSeatSmart Program offers a variety of training related to child passenger safety. 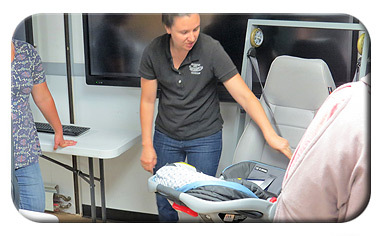 The National Child Passenger Safety Certification Training Program is a 40-hour course offered several times throughout the year for child passenger safety advocates. Upon completion of this course, students are certified as child passenger safety technicians through the NHTSA and Safe Kids Worldwide. For more information about becoming a child passenger safety technician, please contact the BeSeatSmart Program at 1-(888) VMT-SEAT.